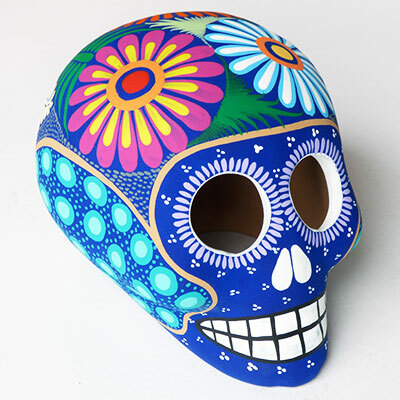 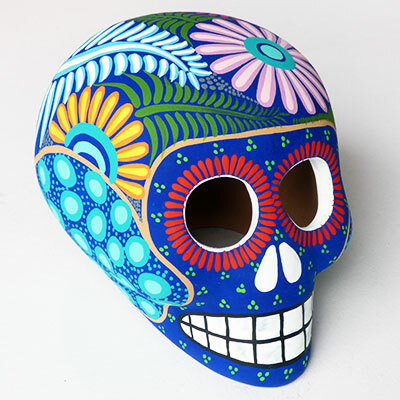 Day of the Dead (Dia de los Muertos) is celebrated in Mexico on November 2nd when cemeteries all over the country are filled with noise, laughter and a blaze of colour. 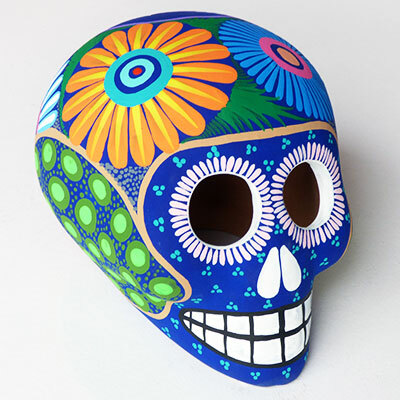 Small alters are built by friends and relations of the dead using skulls, photos, flowers, food and drinks and souls are encouraged to visit these gatherings to hear the prayers and messages of the living. 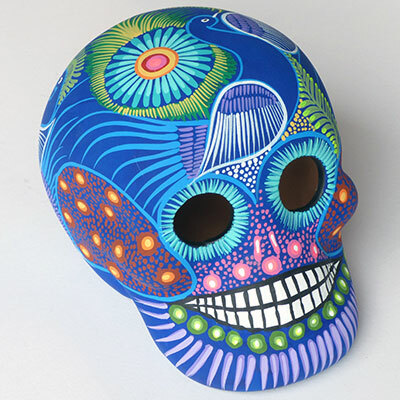 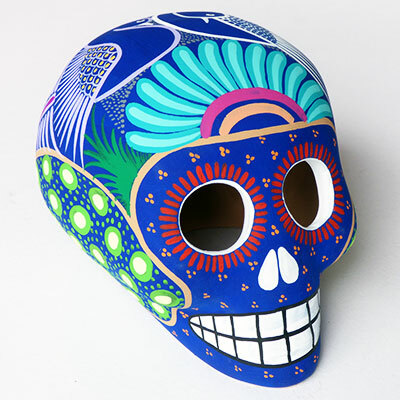 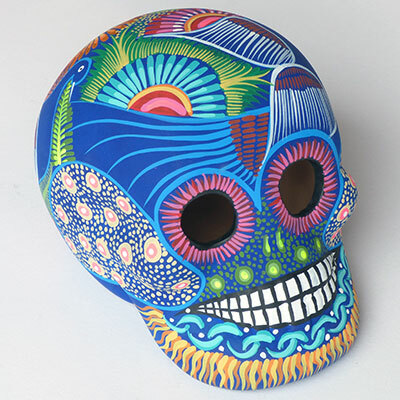 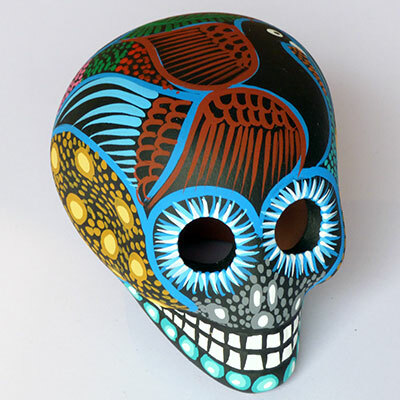 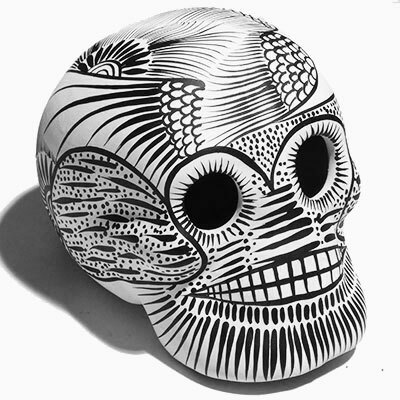 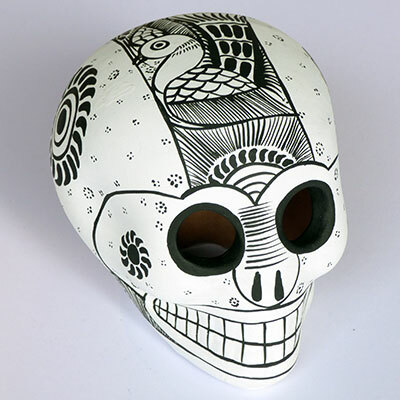 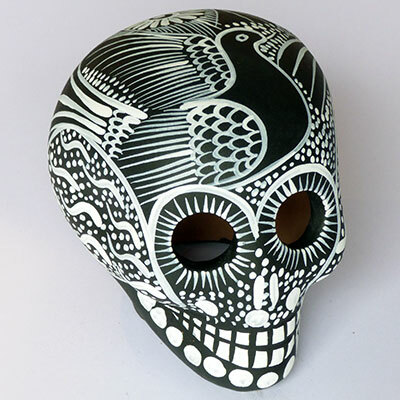 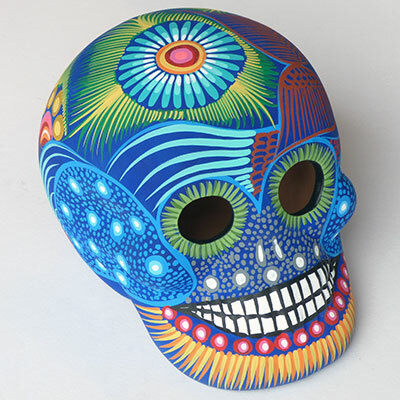 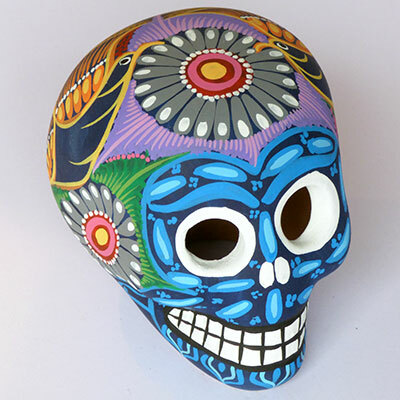 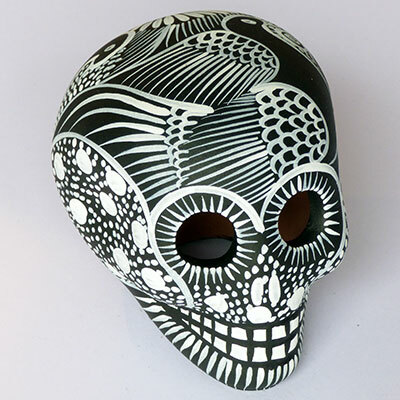 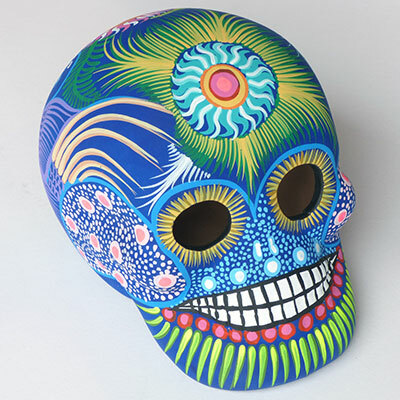 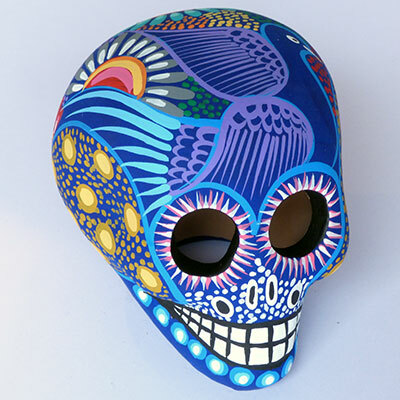 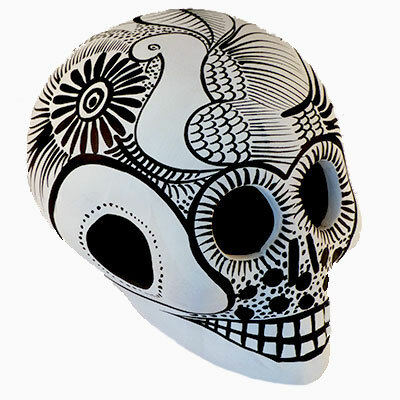 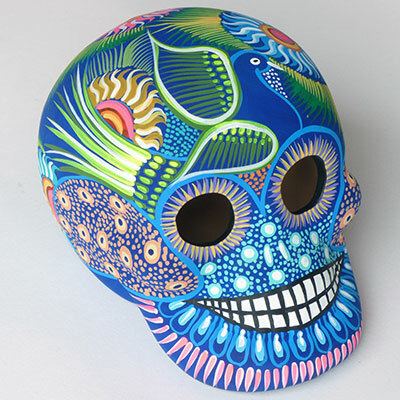 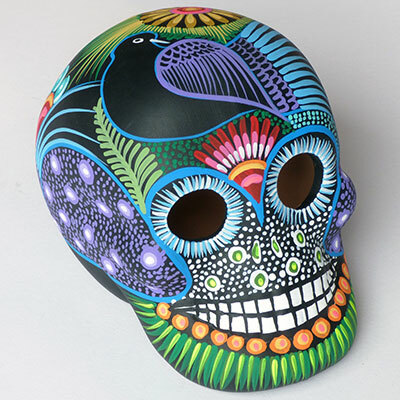 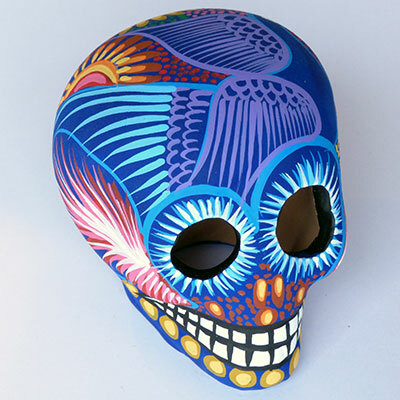 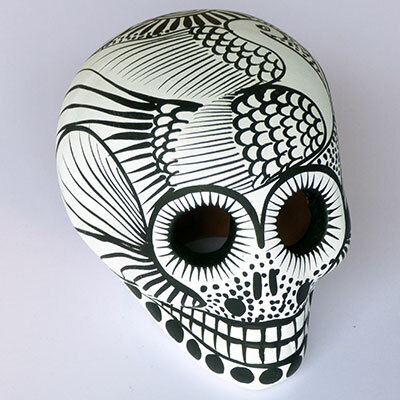 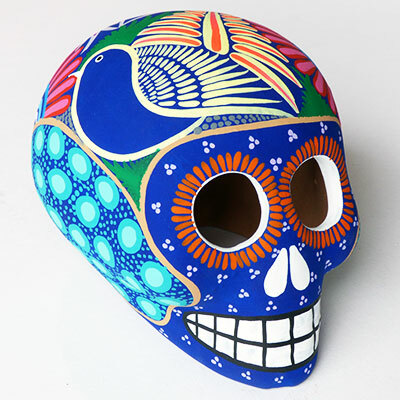 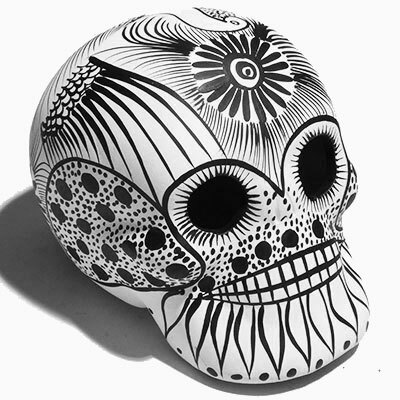 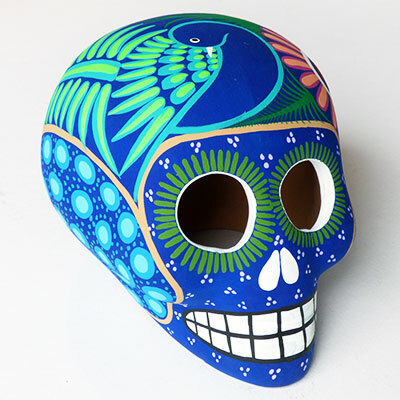 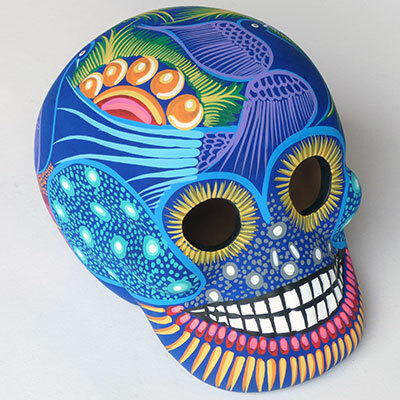 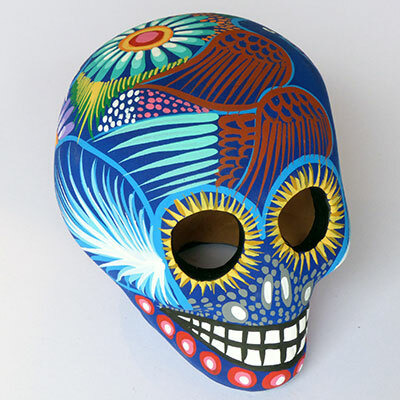 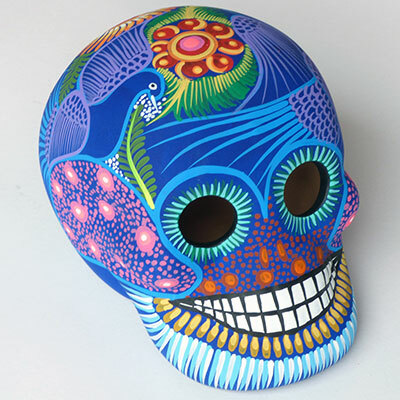 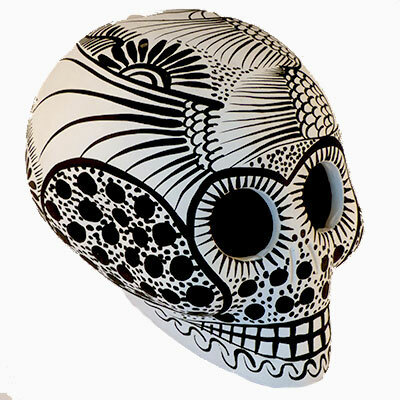 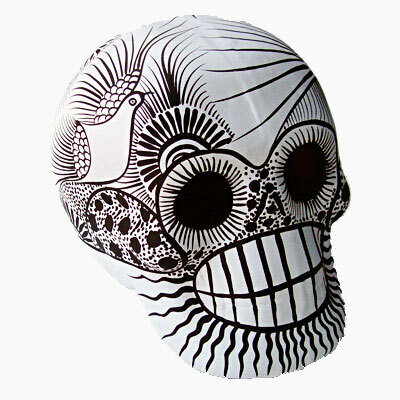 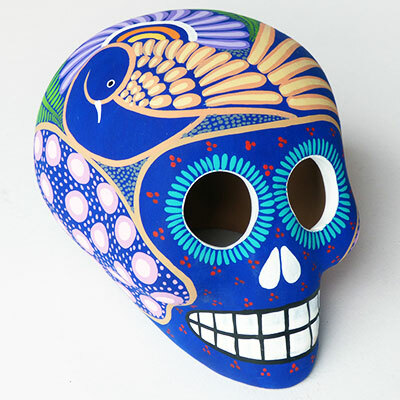 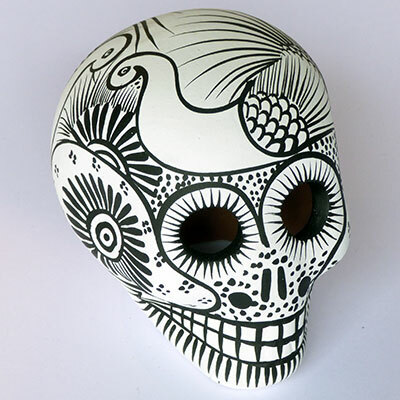 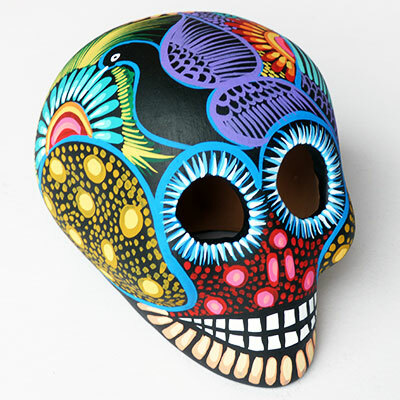 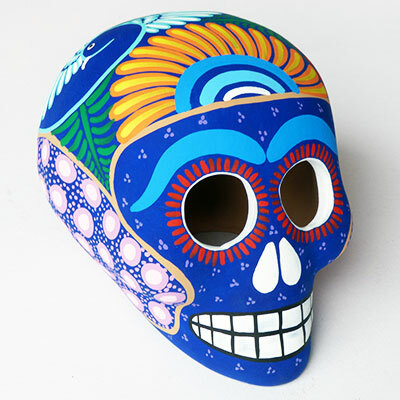 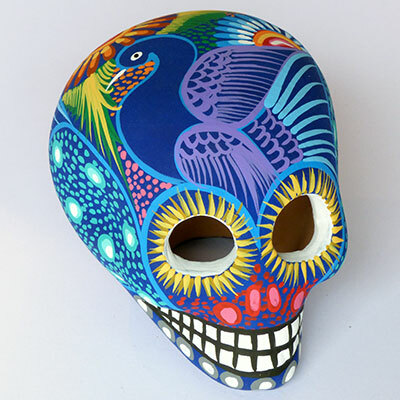 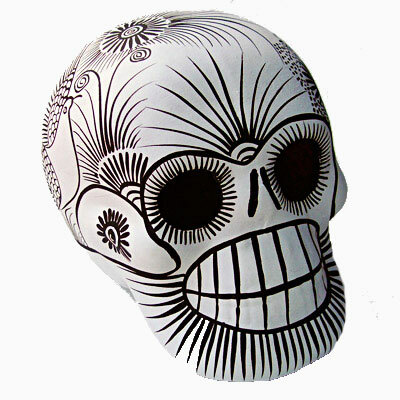 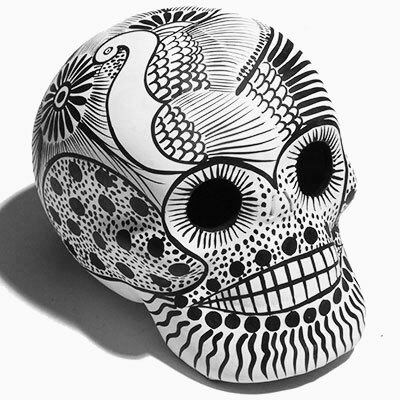 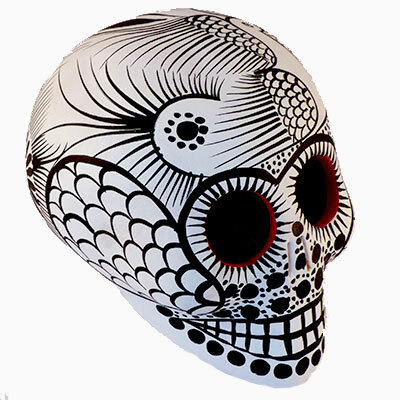 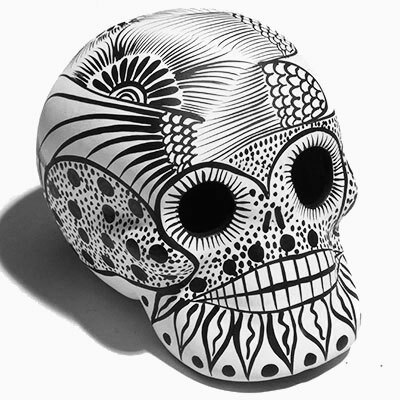 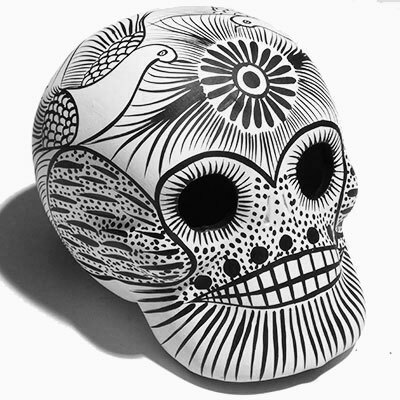 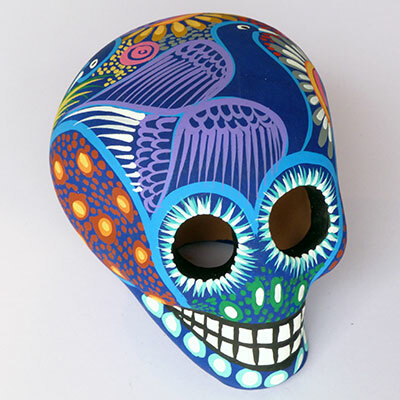 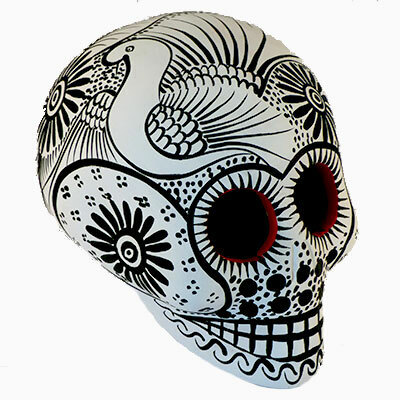 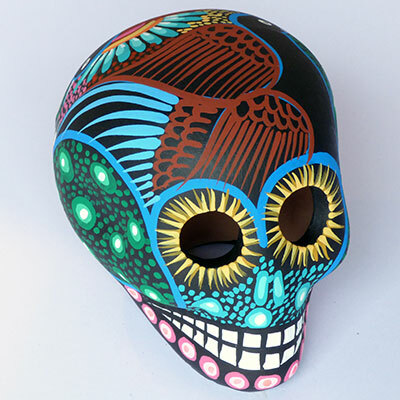 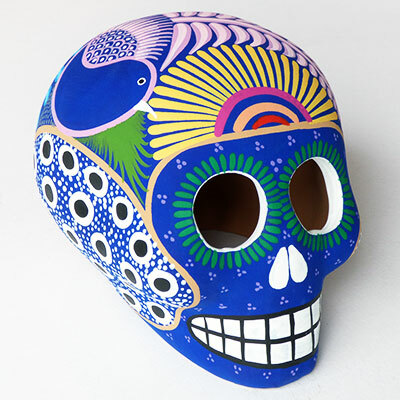 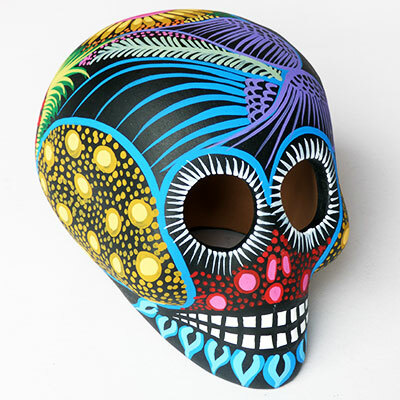 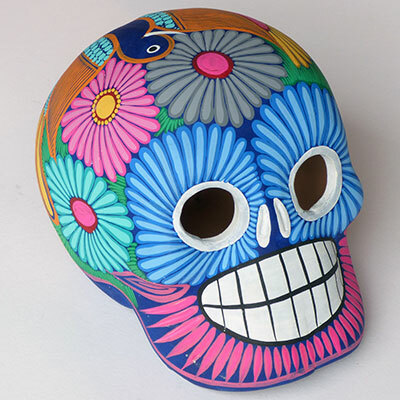 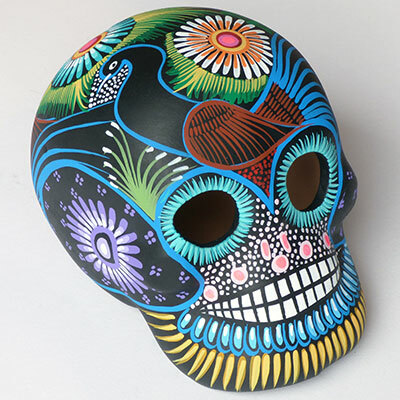 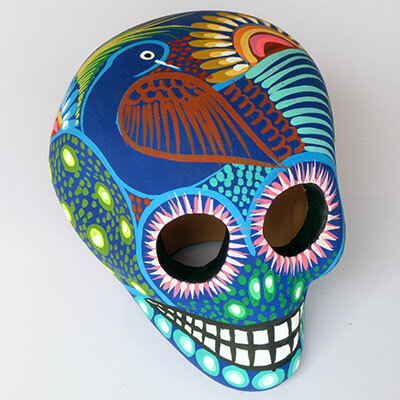 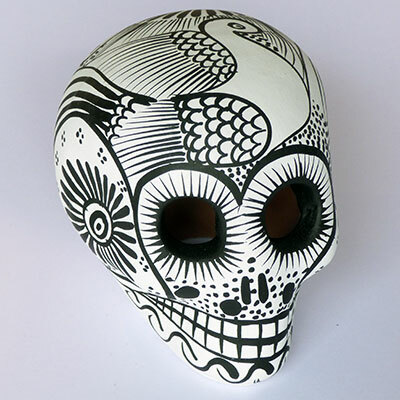 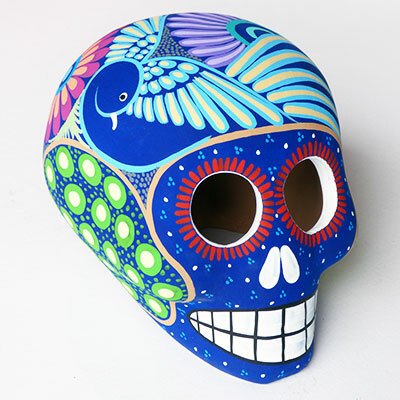 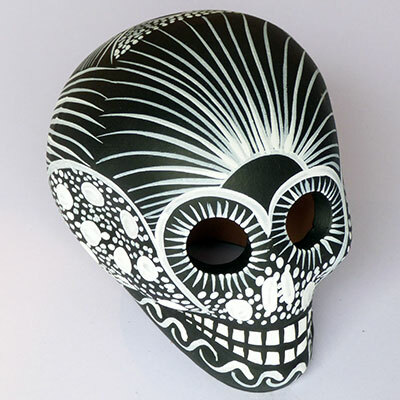 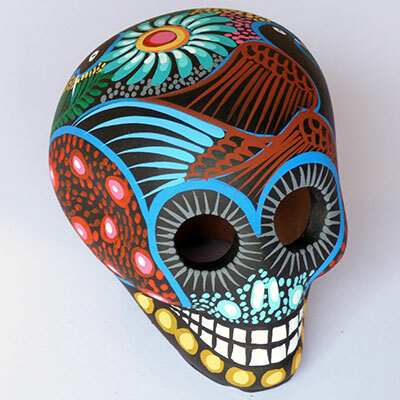 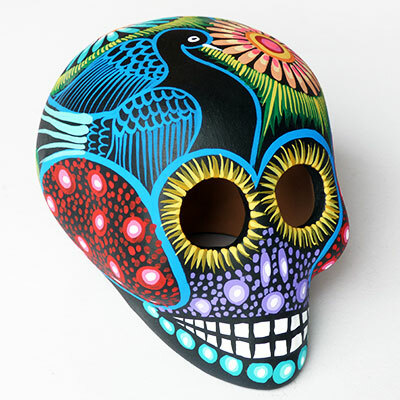 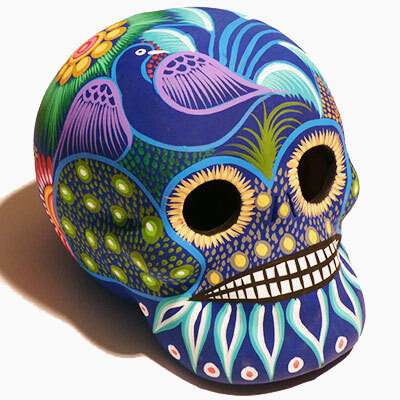 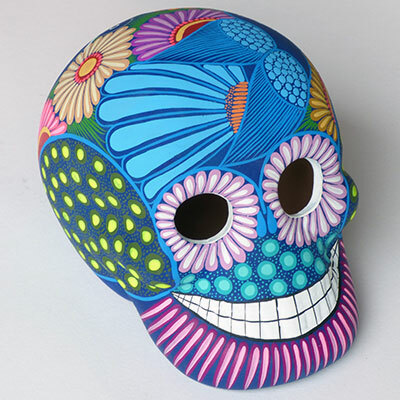 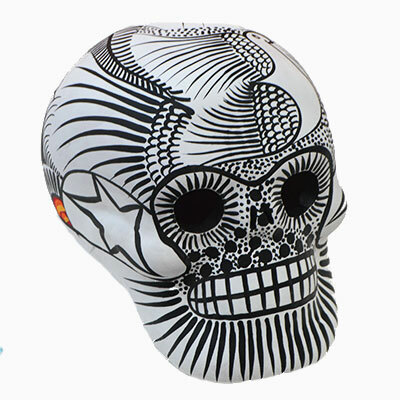 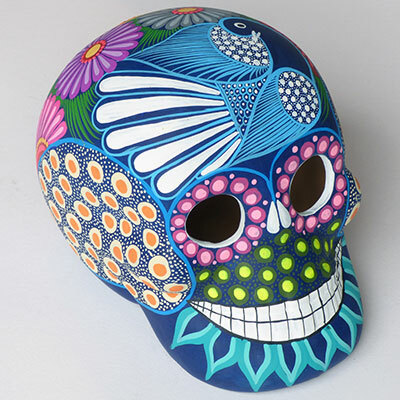 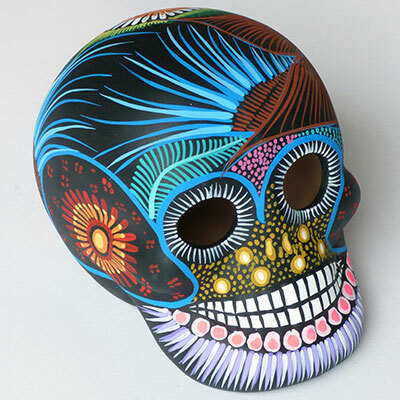 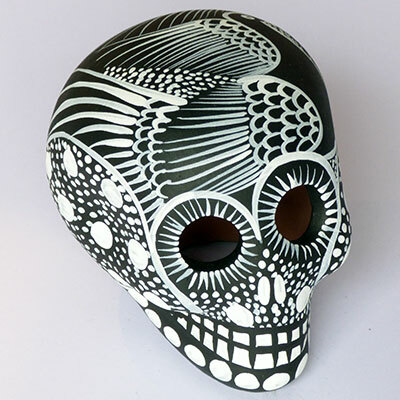 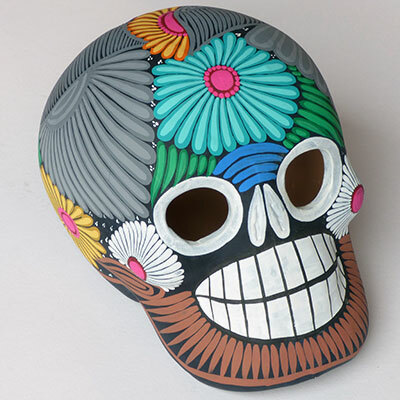 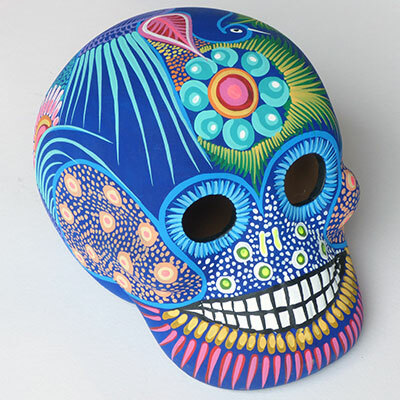 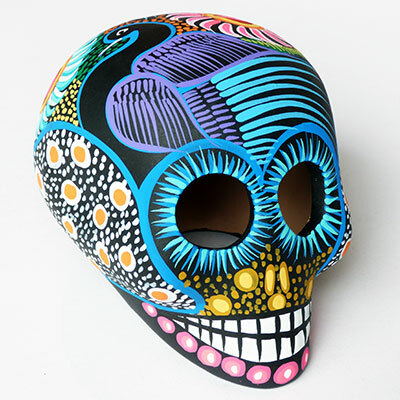 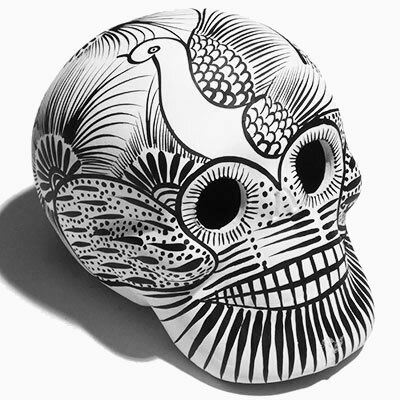 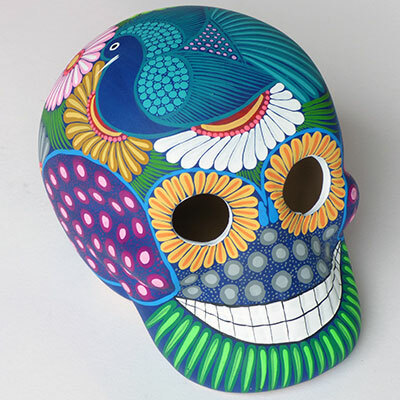 The ceramic skulls below are handmade and meticulously painted. 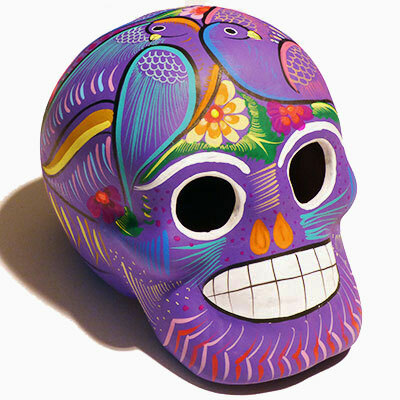 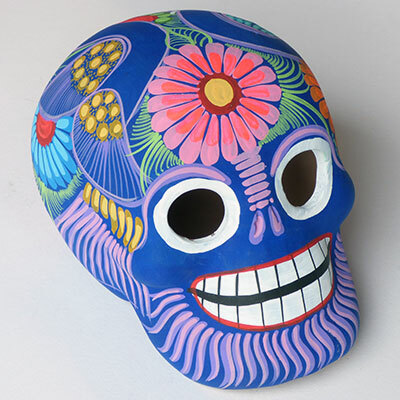 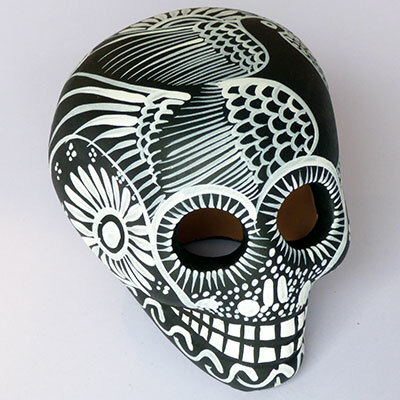 They are typical of the artifacts offered to souls at the Dia de los Muertos celebrations. 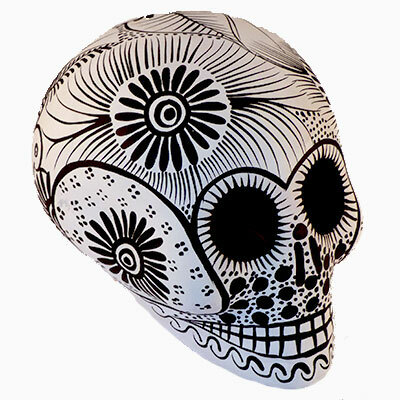 We offer fast delivery and a gift wrapping service - check the options available on the basket page. 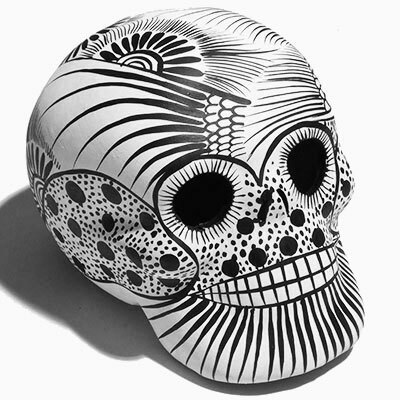 Click on a skull to enlarge the image. 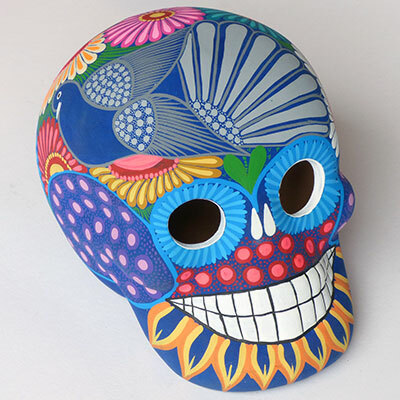 The number of artisans producing folk art in Mexico has dropped dramatically over the last few decades, mainly due to the availability of mass-produced items. 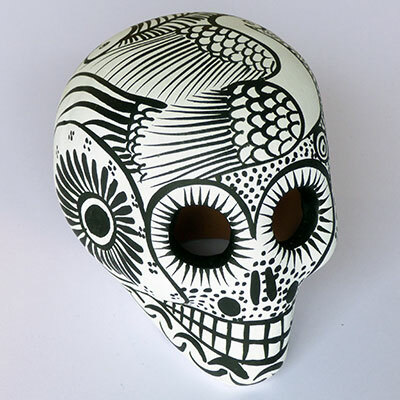 Whilst many artisans have been forced to find employment away from their local communities due to a lack of local demand, there are still producers who are fiercely proud of their traditional heritage and who rely on our support to provide a reliable income for their families.